You don’t have to have the lowest price to win the customer. It takes dedication to good customer service and the ability to provide pertinent information about your product or service. In order to do that you need to talk to your customers. Ask them questions and learn about their needs. Ask questions that will start conversations and will allow you to gain the most information so that you can offer them a solution. Then comes the thank you gift. We all know that it is crucial to send a thank you note or email. But to really stand out, send something that is tangible because logoed products provide instant recollection. A promotion that shows gratitude along with your marketing strategy will move you to the top of their list. That’s how your company will truly stand out. Today’s new product feature is the Solar Power Flower with an introductory sale price as low as $4.19 each for a limited time. 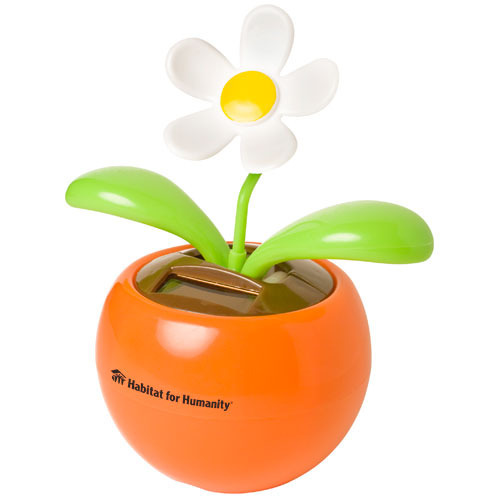 Brighten up a room and bring on smiles with flower power.